Pause for a moment and pay attention to the noises around you. What do you hear? How many different sounds can you identify? If you’re indoors, notice how many noises sneak in from outside. Now take stock of how many originate from inside the building you’re in. Are you surprised by how much you can hear? Noise is a constant part of everyday life, even when we’re indoors. Unfortunately, excessive noise can negatively affect our hearing, health, and happiness, so it’s important to make noise reduction a critical component of every commercial building project. The most common effect of noise exposure is noise-induced hearing loss. 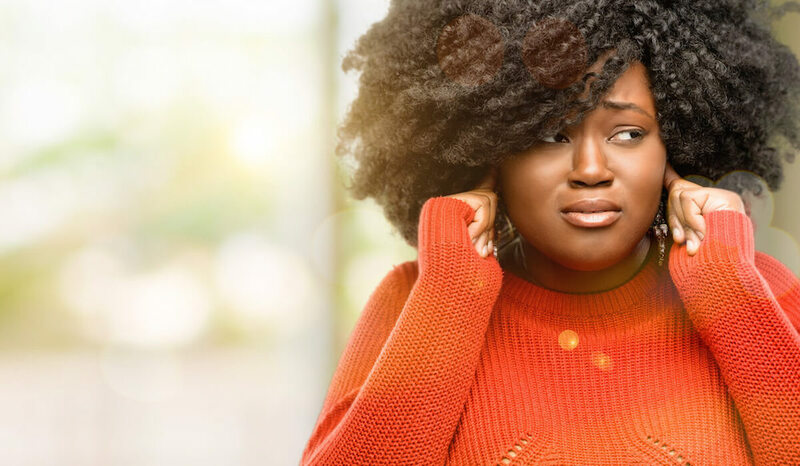 According to the Centers for Disease Control and Prevention, noise-induced hearing loss “is usually caused by exposure to excessively loud sounds and cannot be medically or surgically corrected.” It is the most common work-related illness in the United States. Surprisingly, noise-induced hearing loss occurs more frequently in employees with moderate noise exposure (85 decibels or less) than it does in those with high levels of noise exposure. One possible reason for this is that employees in low- to moderate-noise settings receive less training about noise-related hearing loss and are provided fewer protections than those in high-noise environments. While the negative effects of noise on hearing have been widely studied, there are non-hearing-related consequences of noise exposure as well. While these potential health effects are bad enough, there is also this to consider: Excessive indoor noise can profoundly affect customer satisfaction and workforce productivity. Most of us can easily recall a time when we were in a restaurant that was so noisy we couldn’t hear the person next to us. Chances are that we probably don’t have a high opinion of the place. In fact, Consumer Reports found that excessive noise was the top complaint from restaurant goers in 2016. And it isn’t difficult for anyone working in an office (especially an open office!) to recount their frustrations with excessive noise. A 2014 study from the University of Sydney found noise to be one of the top two causes of workspace dissatisfaction. Given the far-reaching effects of excessive noise on our hearing, health, and happiness, noise reduction is an important component of any successful interior finishing plan, especially for commercial building projects. One of the most effective ways to reduce noise in a commercial building is to install acoustical wall panels.